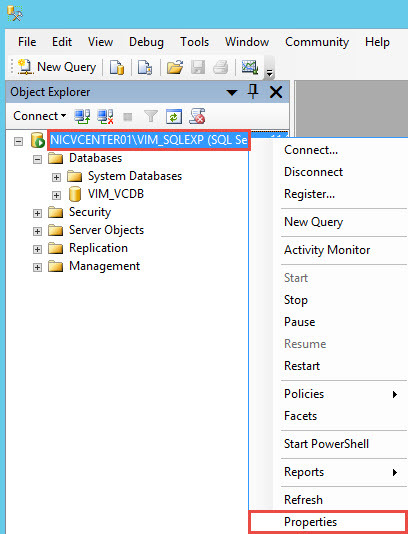 This will basically migrate your SQL database to VMware vPostgres. 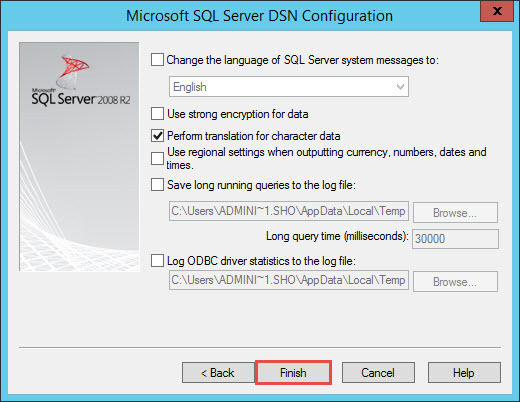 But you can continue utilizing SQL Express after performing the following steps. 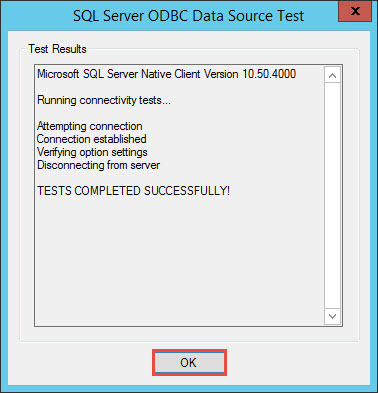 Although SQL Express is not recommended for production environments, this may have been adequate for SMB environments with 2-3 hosts and a minimal number of virtual machines. 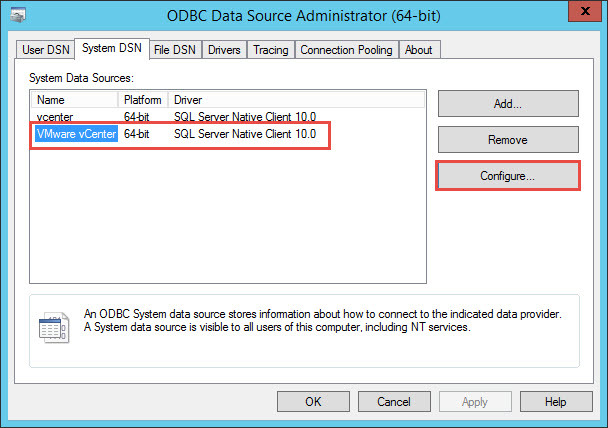 First you will need to know the ODBC System DSN utilized by the system. 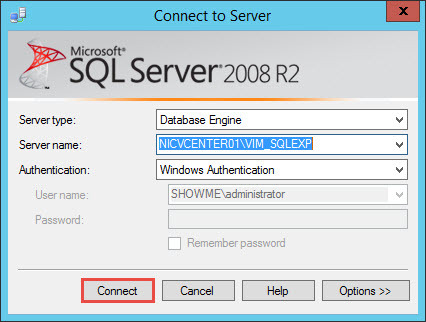 One of the steps required, is to change the SQL Express authentication from Windows to SQL. 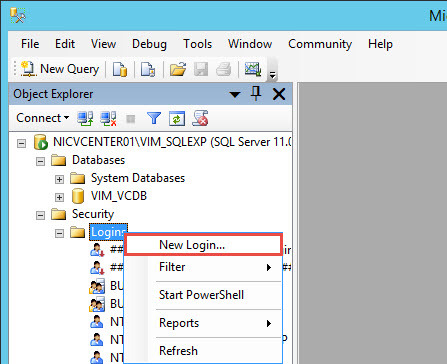 Launch SQL Management Studio and logon to the SQL Instance for vCenter. 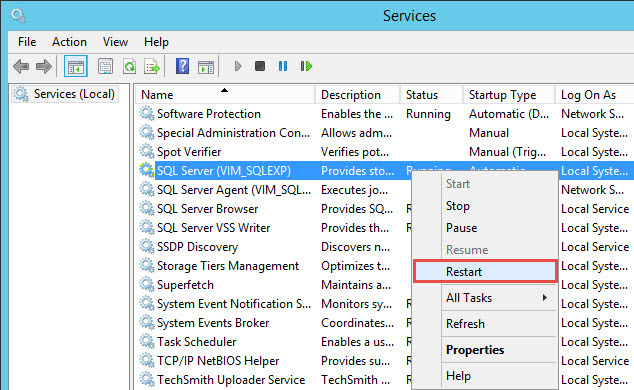 Right-Click the server instance VIM_SQLEXP and click Properties. 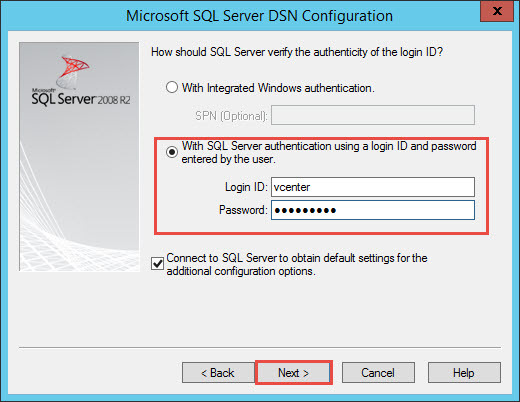 We will need to ensure that SQL Server and Windows Authentication mode is selected. 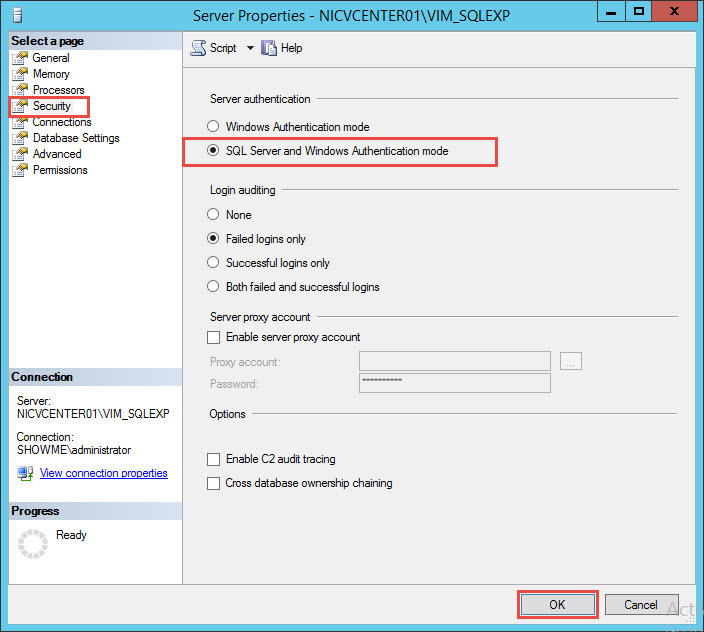 Assuming that this was just now changed from Windows Authentication to mixed-mode authentication, SQL will inform us that a restart of the SQL instance is require before mixed-mode authentication takes effect. 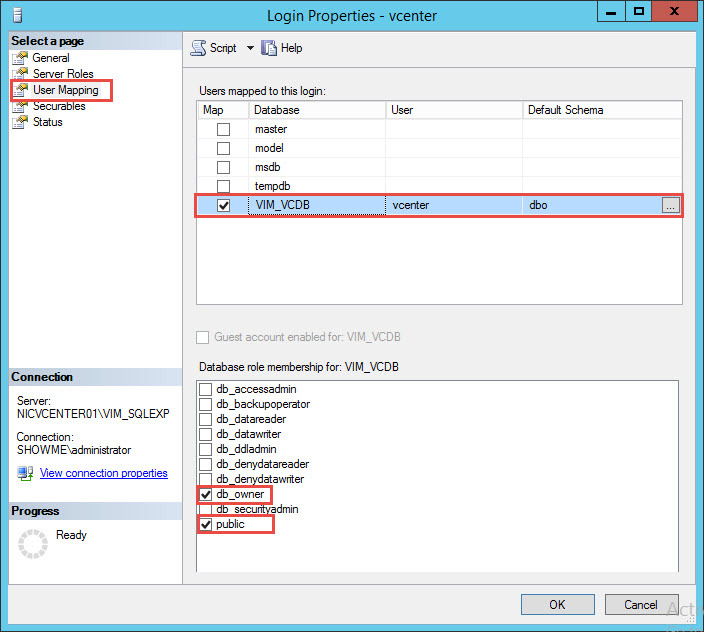 Now we will proceed to create a SQL account named vcenter. You can use any name, and you can also utilize the built-in sa account. If you utilize the sa account, ensure that this is not disabled. We will opt to create a new account instead. Click on Security, Logins, right-click and select New Login. Enter the login name, password and uncheck Enforce password expiration. 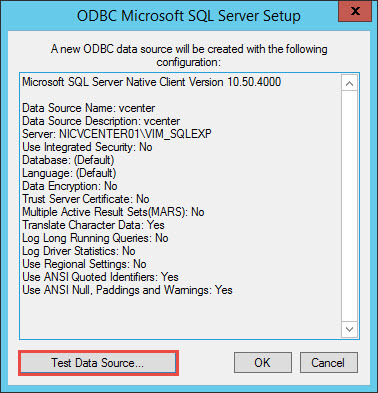 Also select the default database as VIM_VCDB. On the User Mapping area, select VIM_VCDB and check the db_owner option and click OK.
Grant the user sysadmin rights in Server Roles. 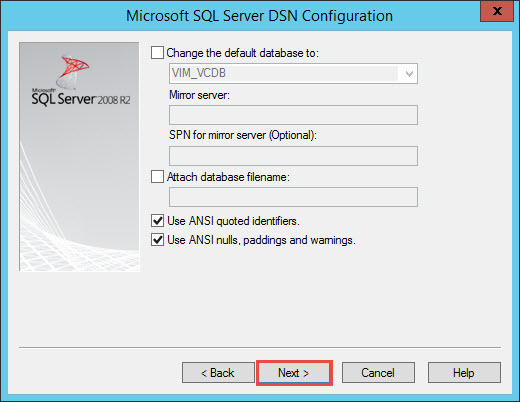 Remember to restart the SQL Server instance for mixed-mode authentication to take effect. Now we will need to proceed to edit the System DSN. Firstly, we need to stop the VMware VirtualCenter Server service. 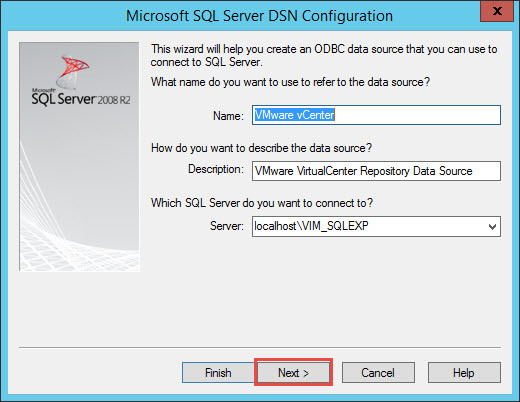 Launch the ODBC Administrator from Administrative tools, click on the VMware vCenter System DSN and click Configure. 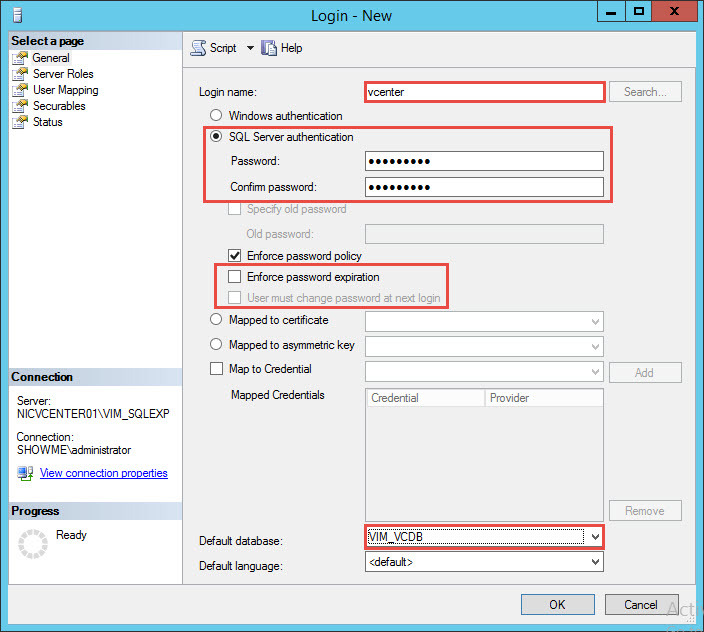 Check the SQL authentication option, enter the login ID created above and password. Click Next. Click Next. 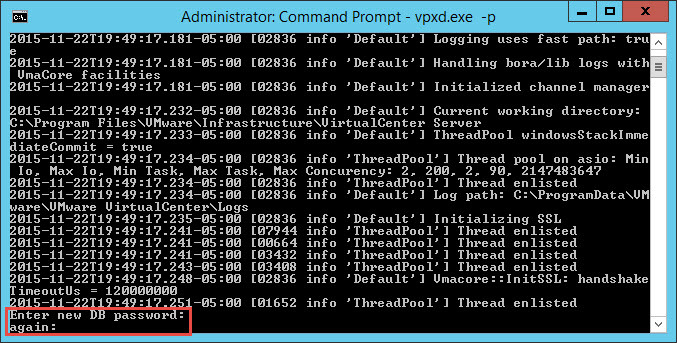 As we have configure the default database to be VIM_VCDB, the default database is already configured for us. Otherwise, you will need to select it now. Ensure the test is successful. If not, review the previous steps. Next, we will need to adjust the registry. 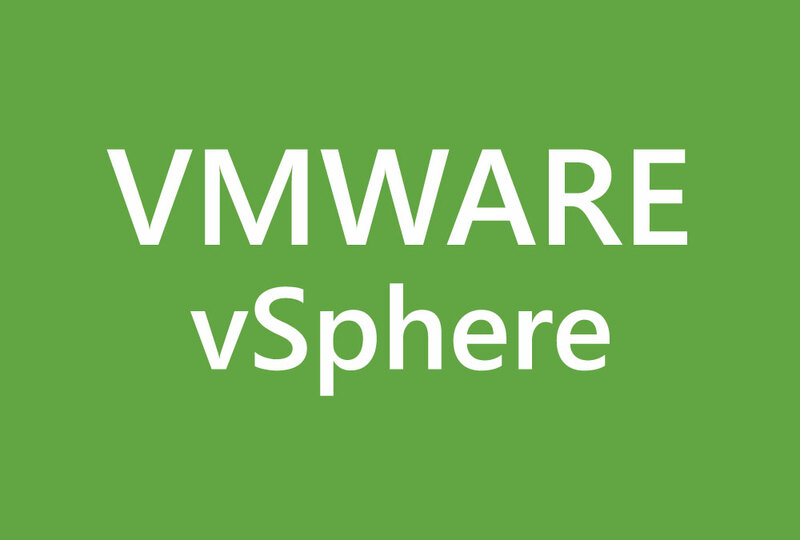 Navigate to HKEY_LOCAL_MACHINE\SOFTWARE\VMware, Inc.\VMware VirtualCenter and change DbServerType to Custom. 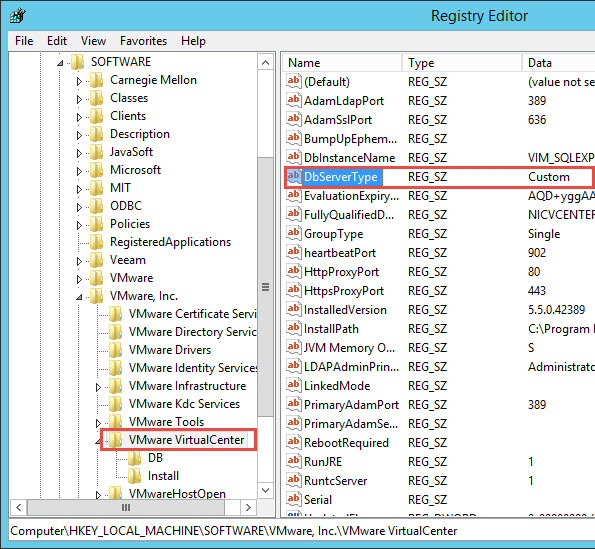 Change registry key HKEY_LOCAL_MACHINE\SOFTWARE\VMware, Inc.\VMware VirtualCenter\DB key 2 with value vcenter. This is the name of the SQL account we created above. If you utilized a different account, use that account instead. 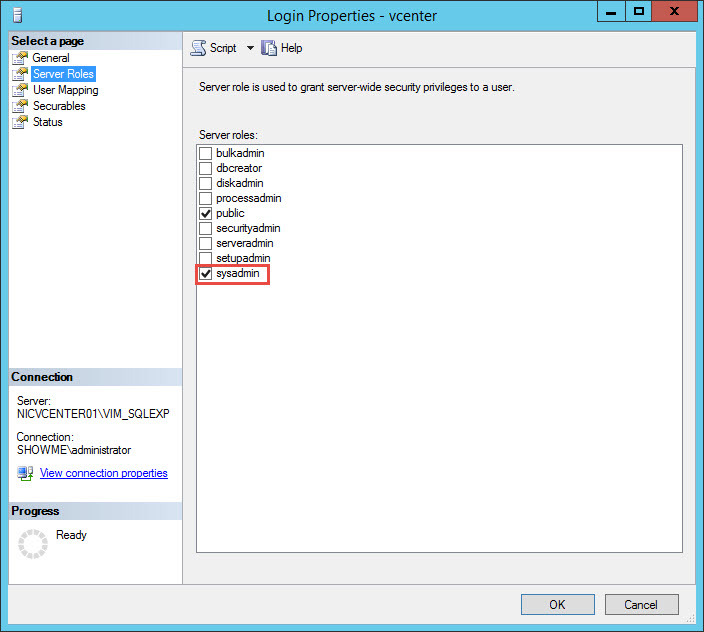 You will be prompted to enter the password utilized for the vcenter account twice. This is the SQL user password. 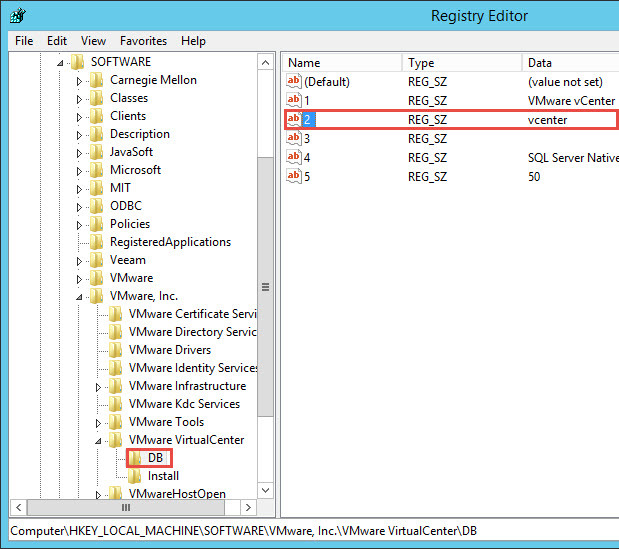 Restart the VMware VirtualCenter Server service and ensure that you can logon to vCenter using the client. Proceed to upgrade vCenter to version 6.